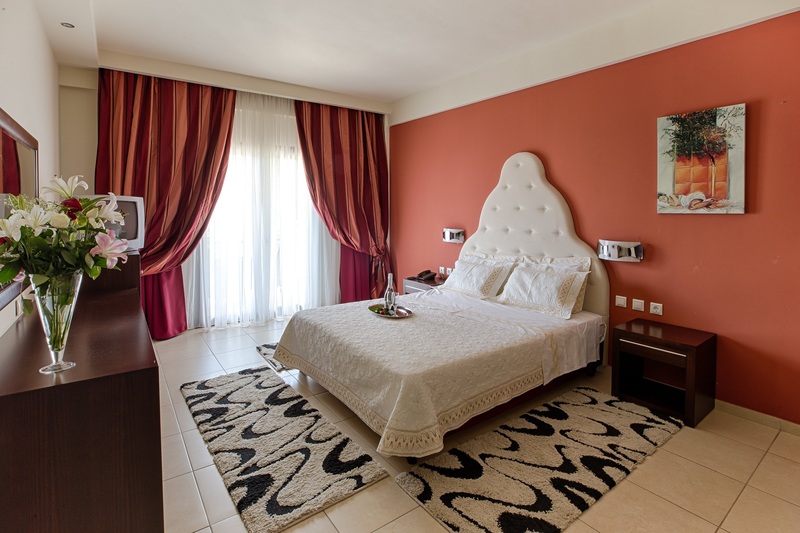 Suites comprise a bedroom with double bed, a living room with a desk, 2 bathrooms with bath, shower and tzakouzi and balcony. They provide mini bar, safe, cable TV, internet, and hair dryer. They are about 52 sq.m. and can accommodate up to four people.